(WC) A new book edited by professionals from Howard Brown Health aims to make information on transgender and gender nonconforming people as they age more accessible to healthcare providers. (WCT) To counter an anti-transgender day of protest organized by elements of the religious right, pro-trans forces will show their support for Target Stores' pro-equality stance by holding a rally in front of the Target store in Chicago's Uptown neighborhood, 4466 N. Broadway at 10 a.m., Saturday, June 4. Transgender plaintiffs who think the compromise that replaced North Carolina's so-called "bathroom bill" is still discriminatory are heading back to court. PORTLAND, Maine (AP) — As a first-time father, Wayne Maines held his newborn twin sons and dreamed of their life together — a dream that, at least then, didn’t include taking one of them to a father-daughter dance. (WB) Skyler Jay, who appeared as the first transgender subject on the Netflix makeover series “Queer Eye,” is suing his employer the University System of Georgia (USG) for its trans-exclusionary health care policy. The biting satirical musical that mocks Mormons has finally come to the heart of Mormonlandia, starting a sold-out, two-week run Tuesday at a Salt Lake City theater two blocks from the church's flagship temple and headquarters. A feud between gay rights activists has exploded underneath the LGBT umbrella. For years the transgender community has bemoaned the fact that most trans characters in film and on television are played by cisgender actors. Not so with FX's daring and groundbreaking new series "Pose" in which MJ Rodriguez, a transgender woman, plays a leading role. 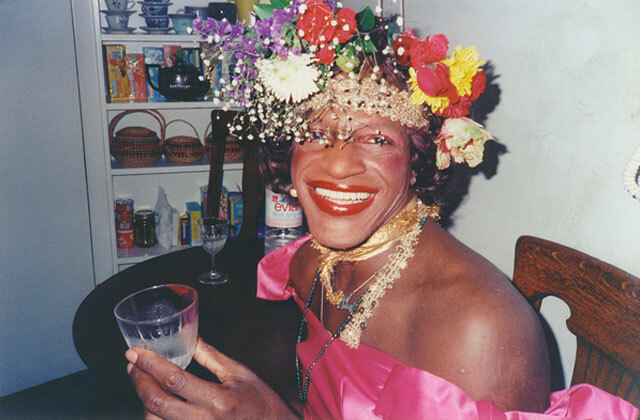 On November, 1st, in honor of Transgender Awareness Month, The Stonewall National Museum & Archives plans to show the film The Death and Life of Marsha P. Johnson, a movie that promises to not only honor legendary transgender activist Marsha Johnson, but educate viewers on her life and how she was a transgender trailblazing pioneer. It’s only been a week since NBC’s “The Voice” returned for the season 14 premiere and the reality-competition series is already making history by featuring their first trans contestant. Colin Mochrie, a star of the improvisation comedy show “Whose Line is it Anyway,” took to Twitter this Sunday revealing he and his wife, Deb McGrath, have a transgender daughter. (EDGE) On Monday, Dr. Sherman Leis, founder of The Philadelphia Center for Transgender Surgery, one of the leading resources for transgender surgery and medical support in the United States, presented his annual list of the top 10 trends that will affect the transgender community in 2017. (AP) A North Carolina-style "bathroom bill" is nearing a first vote in Texas despite opposition from big-name companies including Facebook and the NFL warning that the Super Bowl won't return to Dallas or Houston. (WB) A group of 127 House Democrats led by Reps. Julia Brownley (D-Calif.) is calling on the White House to keep intact an Obama-era rule barring medical providers from denying health care to transgender patients, including gender reassignment surgery. A coalition of 16 states led by Nebraska Attorney General Douglas Peterson is urging the U.S. Supreme Court to reverse a federal appeals court decision in favor of a fired transgender funeral home worker and determine workers can be terminated for being transgender.